Most people are well-aware of the fact that good packaging is necessary for proper transportation of goods or if goods need to be stored for weeks or even months on end. The packaging is there to protect the product from external influences like adverse weather conditions and damage done by rats and other pests. The reality is that there are an increasing number of people who acknowledge the fact that the product is strongly affected by the packaging materials. That’s why the companies that work in this industry are introducing eco-friendly solutions. The most successful companies are providing packaging products that will not only keep the product inside safe, but will also keep the environment safe. Waste disposal and waste processing is becoming a huge problem all over the world and a great way to reduce this problem is to design eco-friendly packaging products. Those who want to be confident that the goods that they have stored or transported will be protected all the time should definitely try foam packaging. One of the main benefits of using this type of packaging is the fact that it can be used for securing many different products. To put it simply, foam is essentially plastic filled with air, which means that it is very lightweight. This also means that it is quite simple to load and unload goods in foam packaging. But, what is even more important, is that this packaging won’t increase the weight of the product during transportation and, as we all know, the heavier the goods are, the more you will have to pay for transportation. Furthermore, foam packaging can be produced in any shape you want. 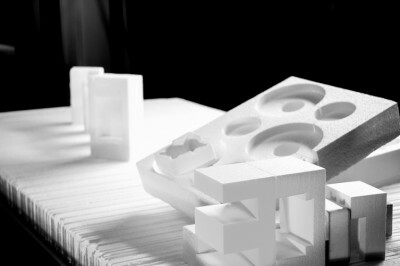 Foam packaging can be tailor-made to fit the form of the product. In addition, the party that will receive the product doesn’t have to worry about unpacking because it is quite easy to unpack foam-packaged products. This packaging also doesn’t create any mess after unpacking. Foam packaging is available in two forms – hard and soft. Soft foam packaging is perfect for fragile items whereas hard foam packaging is suitable for more sturdy items. To find out more about foam packaging and how it can benefit you, please contact us now.